This year, the auspicious festival falls on the 24th February, 2017, which happens to be a Friday. The Maha Shivaratri festival is celebrated on a humongous scale in all parts of the country, and wherever Indians live all over the world. On the darkest night of the year (24 February this 2017) devotees stay awake and offer prayers, perform rituals and pay obeisance to the most graceful of the deities, Lord Shiva, for his blessings. As per astrological tenets, the cosmos is said to be replete with divine energy on the night of Shivaratri, and devotees offer prayers to tap into this energy. Lord Shiva is one of the three most revered Hindu deities, forming a part of the great holy Trinity (Brahma, Vishnu, Mahesh/Shiva – the Creator, the Preserver and the Destroyer respectively). The hermetic God, with his abode in Mount Kailash in the Himalayas, is believed to be formless, shapeless and timeless. The Shivalinga is a mystic symbol of Lord Shiva, who is considered the easiest of the Gods to please and his blessings are said to possess immense power. The significance of worshiping Lord Shiva on Maha Shivratri is that one attains salvation. As per the story of Mahashivaratri, the festival is celebrated to mark the day on which Lord Shiva married Goddess Parvati. It falls on the 13th night of the dark half of the Hindu month of Phalgun. On the occasion of Maha Shivaratri, devotees observe a day-long fast and worship Lord Shiva with great vigor at temples and homes. The Shivratri legend also says that a person who fasts on this day can reap the benefits of a whole year’s rigorous prayers. Women pray to Lord Shiva on Mahashivratri to get a husband as omnipotent as Lord Shiva himself. According the most prevalent legend of Mahashivratri, during the great mythical churning of the ocean – Samudra Manthan conducted by the gods and demons for obtaining nectar to make them immortal, first a pot of poison emerged. The poison was so potent that nobody was ready to even touch it as it had the power to burn up the whole world. It was decided that the only one who could help them get rid of this poison was Lord Shiva. So they all went to him for help, and Shiva promptly agreed to consume the poison. However, the poison was so deadly that even if a drop had entered Lord Shiva’s stomach (his stomach represents the universe), it would have annihilated the whole world. Shiva carefully held the poison in his throat which turned blue due to the effect of the poison, and so he came to be known as Neelkanth. Maha Shivaratri is celebrated as a day of gratitude to Lord Shiva for protecting the world from this deadly poison. One day before Shivratri fast, devotees should eat only one time. On Mahashivaratri day, after finishing morning routine, devotees should take a Sankalp to observe a full-day fast and break it only on the next day. On Shivratri pujan day, devotees should take a second bath in the evening before doing Shiva puja, which should be done during the night and devotees should break the fast next day after taking bath. For best results pray four times on the Mahashivratri night. – Ablution of Lord Shiva is said to purify one’s soul. – By making offerings (Naivaidya) on Mahashivratri one is said to attain a long and satisfactory life. – By lighting a lamp on Maha Shivaratri, one becomes knowledgeable. – By offering Tambul to Lord Shiva on Shivaratri, one can get favourable results. – One begets children by sprinkling/ pouring milk on the Shiva lingam. – After bathing Lord Shiva with curd, one can buy vehicles on Maha Shivaratri. – By offering Lord Shiva darbha (a kind of grass) mixed in water, one can get rid of diseases on Mahashivratri. – If honey, ghee and sugarcane are offered to Lord Shiva, one can attain wealth. 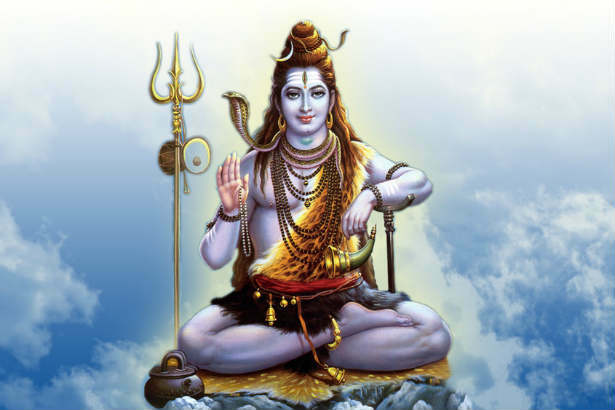 – By bathing Lord Shiva with the holy water of the river Ganges, one can attain salvation on Mahashivratri.